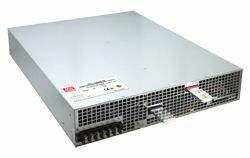 HLG-240H-C Series are a 250W Single Output LED Power Supply range indevelopment from Sunpower and MEAN WELL. 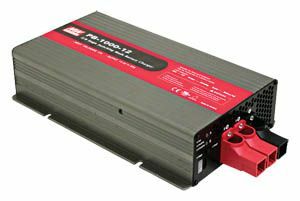 The range features a universal input of 90-305VAC, allowing for use on American industrial mains at 277VAC, and constant current outputs from 700mA – 2100mA with corresponding voltage range between 59VDC – 357VDC, dependant on the constant current model. 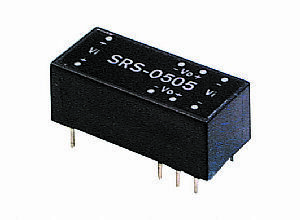 Other features include power factor correction, acheiving 0.95 typically and high reliability. Thanks to high efficiency up to 93% and the fully potted heat conductive silicone, HLG-240H-C can operate at temperautres between -40C and +70C under free air convection. In addition, with the aluminum case, IP65/67 level, 5G anti-vibration ability and 4kV surge immunity is achievable. The series can work in various indoor or outdoor applications where a rugged dust, moisture or vibration protected unit is required. The range is availalve in two model families, HLG-240H-CA Series & HLG-240H-CB Series. 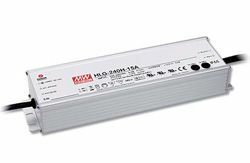 HLG-240H-CA Series are IP65 rated and have a constant current level which can be adjusted via the internal potentiometer. 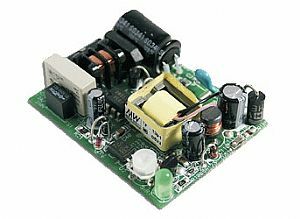 This ability to adjust the constant current level makes the unit ideal as a “one stock” item, suitable for use in varying current level applications. HLG-240H-CB Series are IP67 rated and have constant current level adjustable thought the output cable with 1-10VDC, PWM signal tor resitance style dimming. By using one of the formentioned dimming functions the connected lighting fixtures will dim to 10% load; to acheive 0% brightness a relay and switch will need to be applied into the circuit. If you have an interest in HLG-240H-C Series, whilst it is under development please advise your application and likely annual demand so that we may discuss your requirments and organise samples.